On this special adventure, you’ll trot through a few famous sets and get to explore endless scenery including the Pacific, thick forests and the Kualoa Mountains! 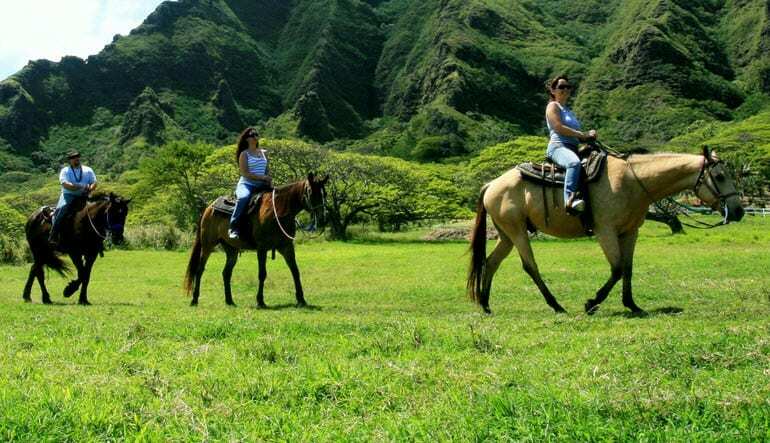 If you’re planning a Hawaiian horseback ride, Ka’a’awa Valley cannot be overlooked. This exotic locale is known the world over through countless films and televisions series (Jurassic Park and Lost being two notable titles!). On this special adventure, you’ll trot through a few famous sets and get to explore endless scenery including the Pacific, thick forests and the Kualoa Mountains! 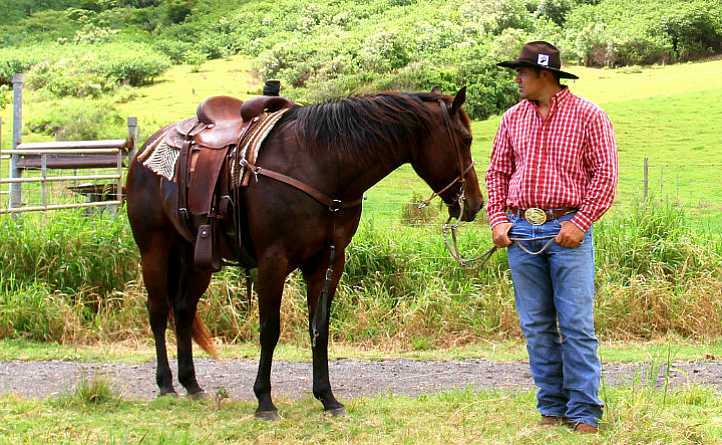 With nearly an hour of saddle time, this Ka’a’awa Valley horseback ride is one of Oahu’s most famous! Get acquainted with your friendly riding horse and receive a safety briefing. Discover Ka’a’awa Valley on horseback for nearly an hour. See the famous film sets of Jurassic Park, 50 First Dates and Lost! Travel to World War II bunkers. Move along pristine Pacific beaches and into a tropical forest. 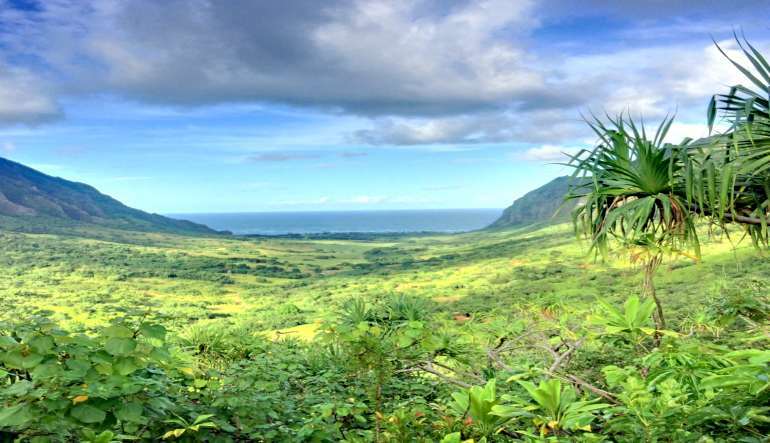 Get fantastic views of the Kualoa Mountains! No riding experience necessary on this big adventure. All these horses are well trained and can accommodate any skill level. Besides, with so much scenery at your disposal, you’ll be more inclined to take it all in at a breathe-easy pace. Saddle up!